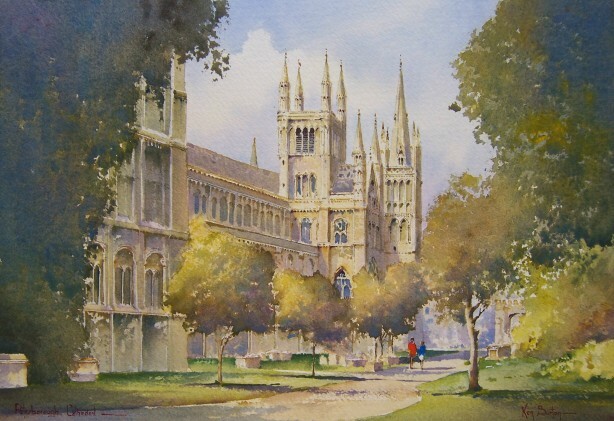 Peterborough Cathedral-Artist Ken Burton, Paintings of Norfolk, Paintings of Yorkshire and cityscapes etc. Peterborough Cathedral (North Aspect). Original watercolour size 10.5" x 7.5". Mounted to size 18" x 15"